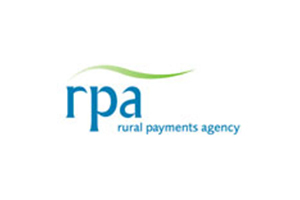 The Rural Payments Agency's work helps the Department for Environment, Food and Rural Affairs to encourage a thriving farming and food sector and strong rural communities. The BCMS needed a way of ensuring that data relating to where cattle are kept is instantly recorded so that the animals can be traced for a variety of reasons, including animal disease. RPA makes Common Agricultural Policy support payments, traces livestock and carries out inspections. They manage over 40 schemes, paying farmers and traders more than £2 billion each year. To administer such a wide range of schemes and meet EU requirements they manage information on more than two million land parcels. The British Cattle Movement Service is the specialist cattle tracing organisation for Great Britain. Every bovine animal in the UK has a unique number, shown on an ear tag and on a cattle passport. The number and passport remain with the animal throughout its life, and is recorded by the slaughterhouse at its death allowing complete traceability. The BCMS needed a way of ensuring that data relating to where cattle are kept is instantly recorded so that the animals can be traced for a variety of reasons, including animal disease. The advanced speech recognition used by Eckoh securely authenticates the caller with their unique Country Parish Holding (CPH) number and Caller Line Identity (CLI). The caller is then able to register births, deaths and movements against an animal's unique number. The service integrates in real-time with The BCMS Cattle Tracing System, to ensure data relating to where cattle are kept is instantly recorded. Other features of the technology include the ability to verify the callers' CLI and recognise the callers last activity; providing a personalised service that remembers, anticipates and caters for the caller. Additionally Eckoh supplies a resilient call routing service to ensure there is the capacity to handle any increase in calls. The service provides efficiency and ease of use for British farmers allowing The Rural Payments Agency to deliver a much improved customer service.